Simply put, there are the leaders, and there are the managers. I think the biggest misconception about leadership is that being a leader and being a manager are mutually inclusive, that one can’t exist without the other. Not true. Sure, the head honcho of your company can definitely be a leader if he or she can motivate, communicate with and encourage his or her team. But the styles of managing versus leading couldn’t be more different from each other. When I was fresh out of college, working at my first full-time job, I constantly ran across the managing types: the people who preferred control over motivation and directives over questions. They might have been efficient employers, but if that style had clicked for me, I wouldn’t have jumped ship and started a business from scratch. On the flipside, I’ve known plenty of junior web designers and developers who I would readily consider leaders. They may not have had titles, but their vision, innovation and constant learning always impressed me. So, what is the difference, then? 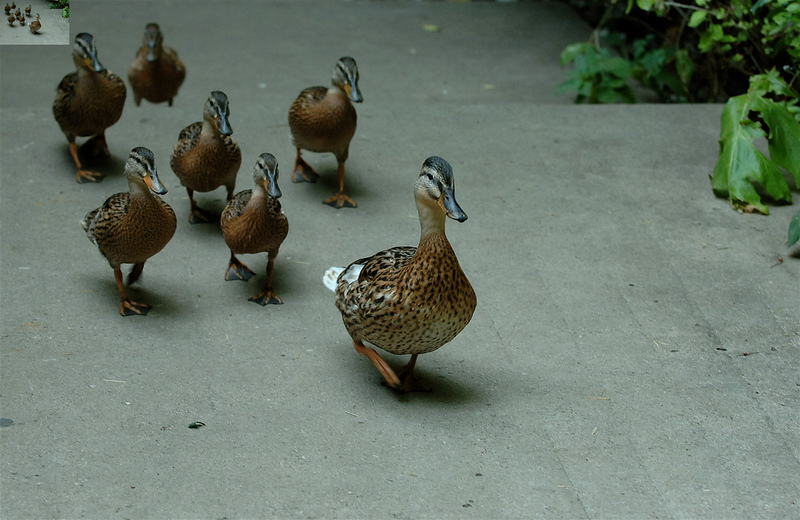 What separates a leader from a manager? I have no secrets with my team; it’s as simple as that. When I’m thinking of a new agency direction or a different service we could provide, they are the first to know. They are also the first to tell me whether or not those ideas are good ones. To be a leader, you have to tear down those walls of secrecy and share with your employees. With the exception of business calls, my door is always open for suggestions, questions, and rants. A great way to harm your business is to stifle collaboration—your team is not your competition, and you won’t win by keeping them in the dark. In over ten years as a business owner, I know the most successful people are the ones who show personal investment in the success of his or her team. While a manager would rather hire a perfect candidate with resume-overload, a leader will search for roughed-up potential that, with training and molding, can turn into a diamond. Not only is this mutually beneficial, but you, as a business owner, get the very cool opportunity to watch as your teammates grow organically within the business. There’s really nothing better. Let me preface this: there is nothing wrong with being concerned with your business’s bottom line. But there is something wrong if your bottom line is your only concern. Leaders have a vision for long-term success beyond simply making money; those things are the effects of your cause, if you will. Vision requires that you, as a leader, have a clear sense of what you want to achieve and have the necessary steps for achieving that goal. When I first started my business, I had a vision to create a premier full-service design and development agency, but I also wanted to create a workplace where clients were paramount and company culture was vital. Every step I take, from the clients I seek to the people I hire, continues to help my agency reach that vision. But vision isn’t just for you—a true leader can take a vision and inspire his or her team to want to accomplish it as well. Long-term vision should never be confined to the boss. It should be a motivating factor for all people involved. Leadership comes in all shapes and sizes, and these three principles have guided me through many ups and downs in the business world. Good leadership is a combination of trial and error, but if you stay committed to your business and your team, expect great things. Ab Emam is the Founder and manages the day-to-day business operations at WDG, The Web Development Group, Washington, D.C.’s premier full-service creative web agency.